The 2018 Rolls Royce Phantom Is The Most Luxurious Sedan EVER! - Muscle Cars Zone! The 2018 Rolls Royce Phantom Is The Most Luxurious Sedan EVER! 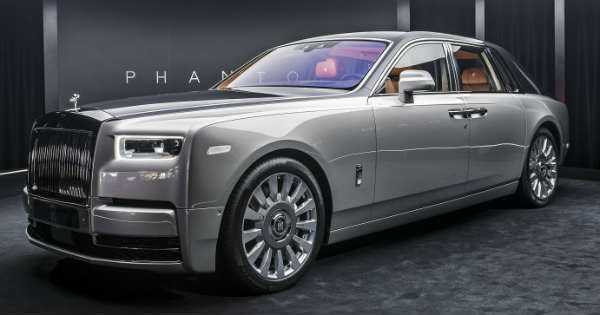 The new 2018 Rolls Royce Phantom has been unveiled and it completely lives up to everyone`s expectations! This new Rolls Royce is proclaimed to be the world`s most luxurious sedan, and even though I`m sure that the people at Bentley and Maybach will have something to say about that, it`s still hard to beat! I mean, this car has everything, and even though most of the equipment is child`s play (as in, it`s commonly found in other, less expensive cars as well), it still has some awesome innovations that would put any other luxurious sedan to shame. The car`s insignia alone, the Spirit of Ecstasy, is worth more than most everyday cars you see on the street, and for a good reason – it`s a world of its own! The 2018 Rolls Royce Phantom promises to deliver like no other car has delivered before – it still has the recognizable Rolls Royce comfort, the full leather interior, the absolutely mind-blowing exterior design and finish, as well as its brutish design – with a beastly V12 engine under the hood. This gentle giant would not only be pretty and expensive, but it`s also a pioneer in performance as it will be able to deliver speeds more than sufficient for any highway in the world. It boasts a 6.75 liter engine, which means it`s going to guzzle gas like a monster, but the result you get in return is satisfying enough. Besides, if you have the money to buy a 2018 Phantom, it`s not like you`re worried about spending too much at the gas station, right? At last, check out the top 10 Rolls Royce models of all-time.